DIY all terrain chair – make your own beach wheelchair! 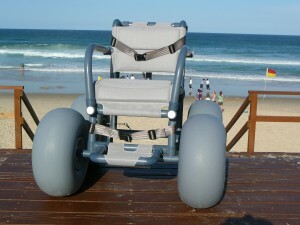 I recently just trialled a beach wheelchair when on holidays up the coast. I was so impressed with how smooth it was on the sand. I came across this website on one of the FB pages last week and thought it would be a great idea for families who travel a lot or were very outdoorsy. You can hire them at some beaches, but you should ring ahead to make sure its available, and they aren’t really suitable for younger kids or someone who needs more support. 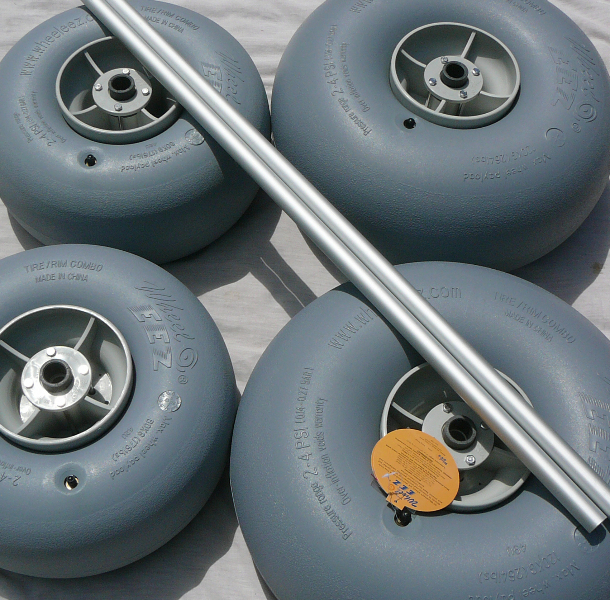 You could use this kit to convert something more comfortable into your own beach wheelchair.